Bormio is a spa town and offers 3 thermal spas - the historic Bagni Vecchi (‘old baths’) which date back to Ancient Roman times, the Bagni Nuovi (‘new baths’) 5-star luxury resort and lastly Bormio Terme with its indoor and outdoor swimming pools, waterslide for kids and 'thermarium' spa for adults. A visit to the town is not complete without a visit to one of these spas! An increasingly popular destination for road cyclists thanks to its strategic location between the legendary Stelvio, Gavia and Mortirolo passes, which often feature on the Giro d’Italia route - in 2017 the 16th stage ended in Bormio. The Stelvio Experience organises guided excursions most days of the week and there is a packed calendar of cycle races throughout the summer. Mountain bikers have a wealth of trails to choose from as well as a bike park with 7 downhill trails. Those who don’t feel up to lots of pedalling uphill can hire a pedal assisted e-bike to take on the passes and trails. Children can learn to ride or improve their skills with the mountain bike school who offer courses and excursions throughout the summer. 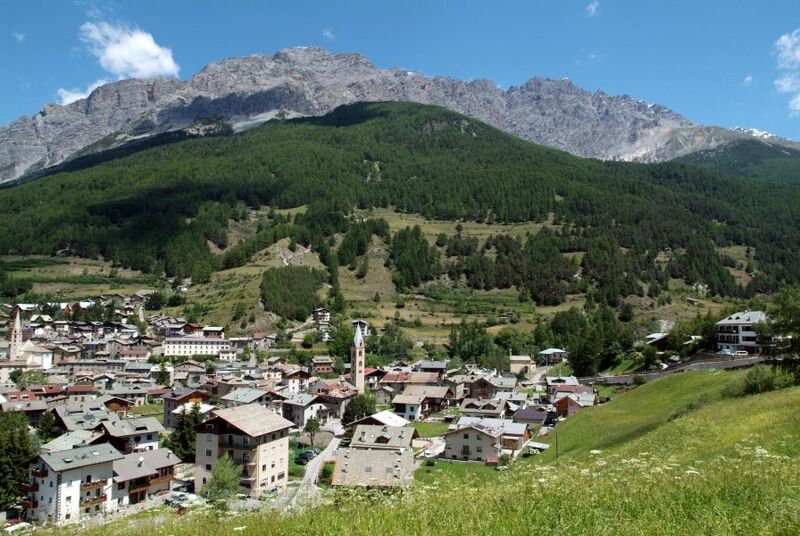 Bormio is nestled in the vast Stelvio National park, home to some spectacular hiking routes. The routes are well maintained and signposted if you want to head out on your own (remember to let somebody know what your plans are) and there are regular guided excursions organised by the local Alpine Guides so you can learn more about the park and its flora and fauna. Highlights include the Val Zebru, Val Viola, and Val Trela. The famous Bernina Express is the highest railway crossing in Europe, crossing from Tirano (30km from Bormio) to St. Moritz and offering spectacular views along the way, whatever the time of year. Find out more here. From May to November the Stelvio pass is open to traffic and to skiers! The glacier here is popular with national teams who frequently train here during the summer. Just half an hour by car from Bormio the Stelvio offers those who can’t wait until winter the chance to get in some turns on the well pisted slopes. The best time of year to go would be May-June and September – November when the snow conditions are at their best. The town has a rich history and a lively programme of events over the summer. Take a guided tour of the town and discover its ornate churches, or head to the civic museum for some fascinating insight on how people used to live here. August in particular offers a different event every Saturday, from wine tasting in private courtyards, to ‘la notte al scur’ where all electric light is turned off and you can wander the streets with a lantern, an atmospheric experience in such a historic location. The nine-hole golf course here is one of the best in the Alps, offering wonderful panoramic views, well maintained greens and an excellent restaurant. Come and say hello at our office in the centre of town. Alternatively follow us on Instagram to see some of our pics of the local area. Have you been to Bormio? Then let us know in the comments. If you like the sound of a summer holiday here, contact us today for a tailor made quote! How's that for a view from the office?